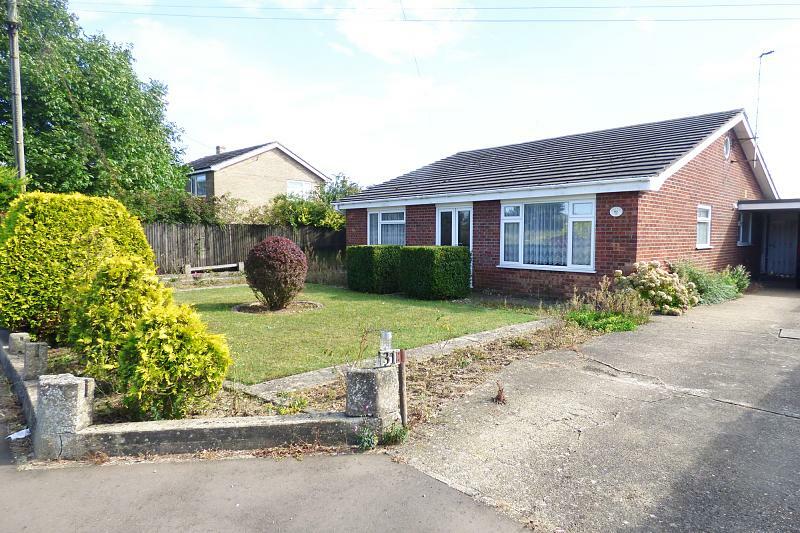 April Rise is a substantial two double bedroom detached bungalow that offers spacious accommodation with the potential to extend both at ground level and into the loft space (subject to consent). Built in the early 1970’s the property stands well back from the road and benefits from driveway parking both sides, one drive leads to a carport and detached garage. On entering the property the outer hallway leads into the inner hall with doors to all rooms. 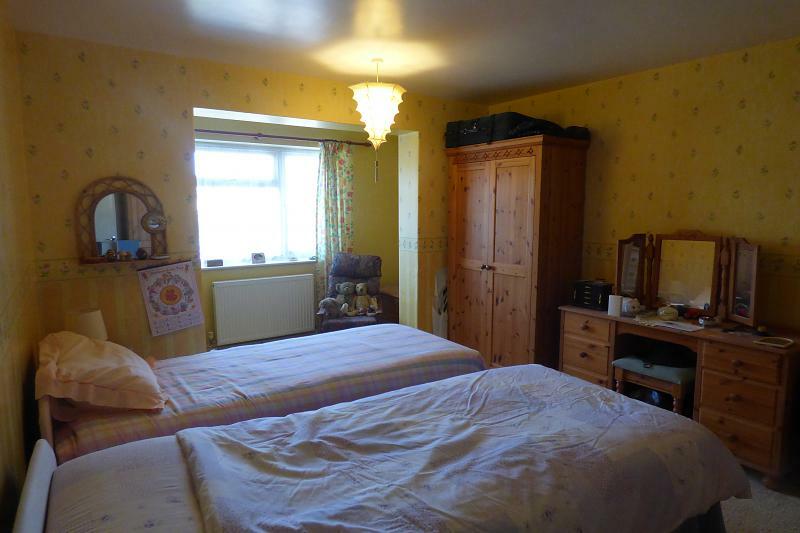 The accommodation comprises a lounge, two double bedrooms, family bathroom and kitchen. 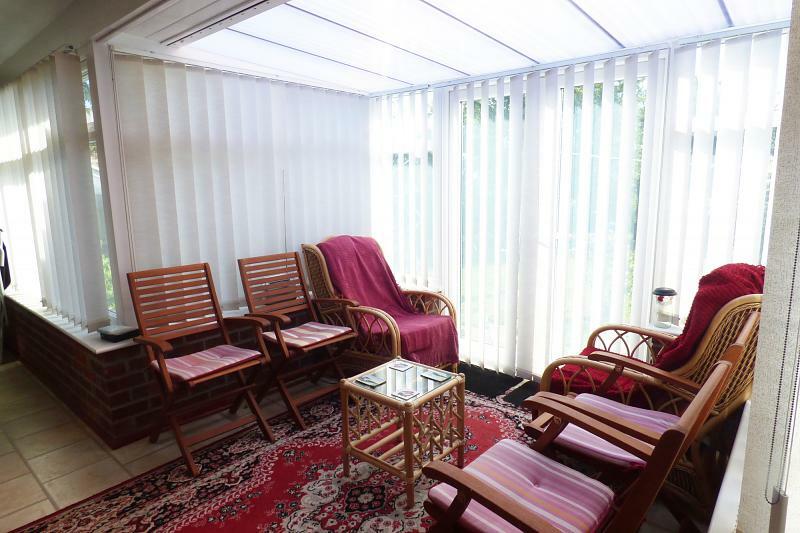 To the rear a conservatory stretches across the back of the property and offers both a sitting area and utility space. 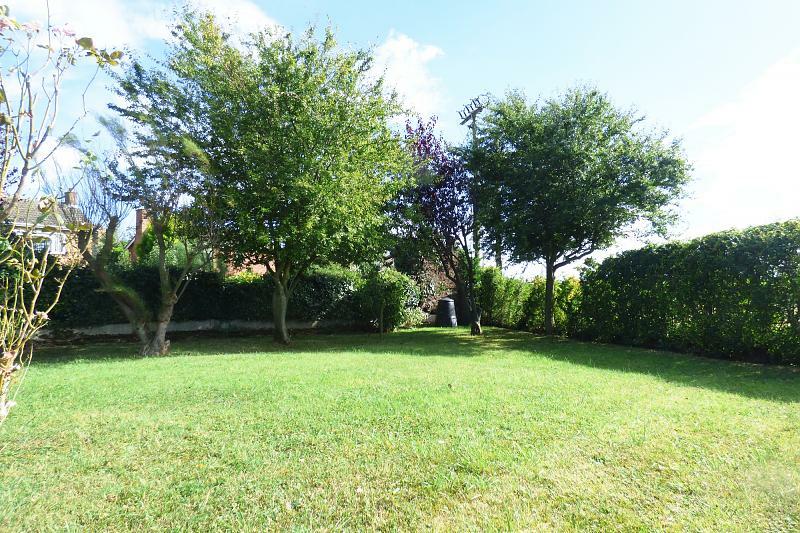 The garden to the front is laid mainly to lawn with mature shrubs and to the rear the garden offers an allotment area with greenhouse and mature trees set within the lawn and patio area. The rear is enclosed by mature pyracantha hedging a haven for the abundant wild birds that visit the garden. 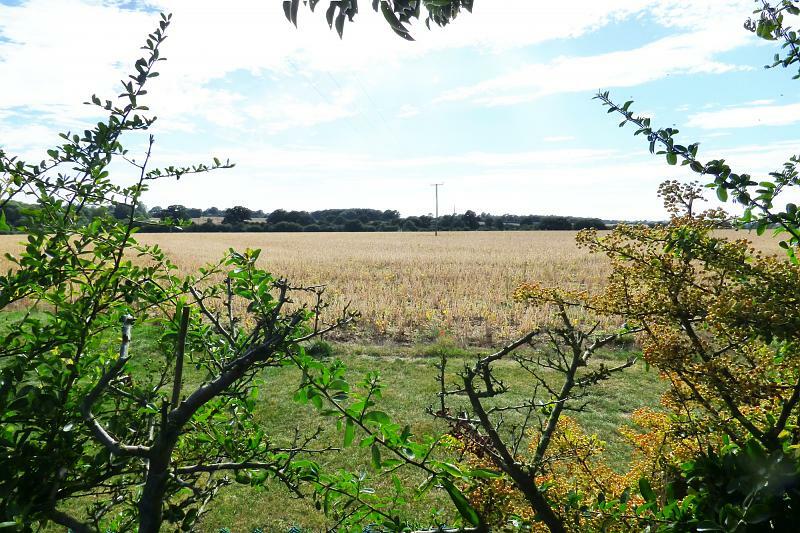 The views to the rear are stunning and reach across the rolling South Norfolk landscape. 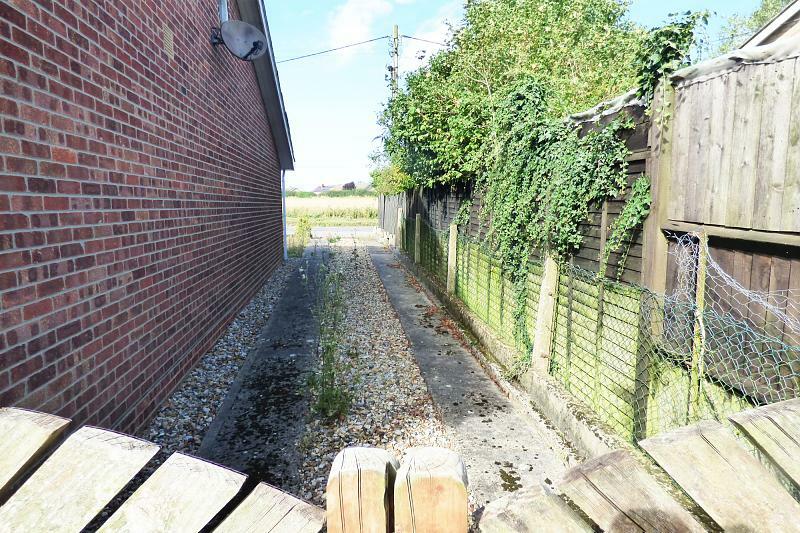 Pulham St Mary is a popular South Norfolk village and all local amenities are within easy walking distance to this property. 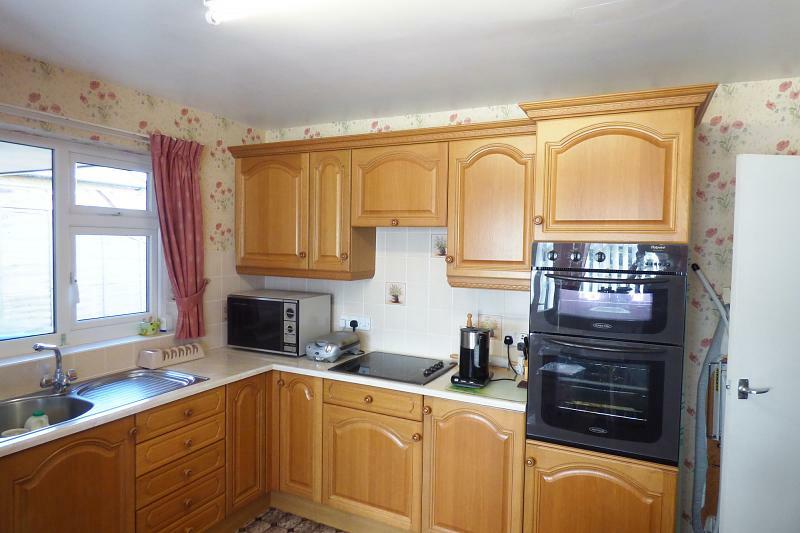 The property benefits from oil fired central heating and most of the property has uPVC double glazing. Currently used as home office space with telephone point, coat and boot storage, doors through to sitting room, kitchen, bedrooms one and two and family bathroom. 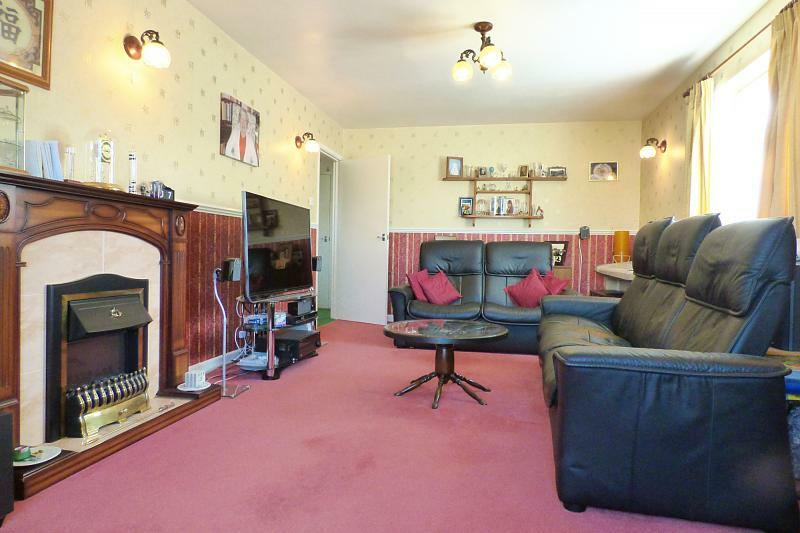 Dual aspect room with both side and front aspect uPVC double glazed windows, T.V point, radiator, carpet, picture rail, electric fire set within wooden mantle with marble tiled hearth and back. A range of fitted oak effect base an wall units with cream marble effect roll top work surfaces over and inset single drainer stainless steel sink with mixer tap, integral eye level electric double oven, inset electric four ring hob set within work surface, water softener, built-in pantry storage cupboard, side and rear aspect uPVC double glazed windows, door through to conservatory. South-facing conservatory being fully glazed to the rear with double doors leading to garden and beyond, boiler serving oil fired central heating and domestic hot water throughout the property, space for further appliances. Front aspect uPVC double glazed window, carpet, radiator. Rear aspect uPVC double glazed window. Three piece fitted suite comprising of vanity wash hand basin with storage cupboards beneath and mixer tap, bath with shower attachment over, close coupled W.C, obscured rear aspect uPVC double glazed window. Double wooden timber doors, power and light connected, rear aspect window. 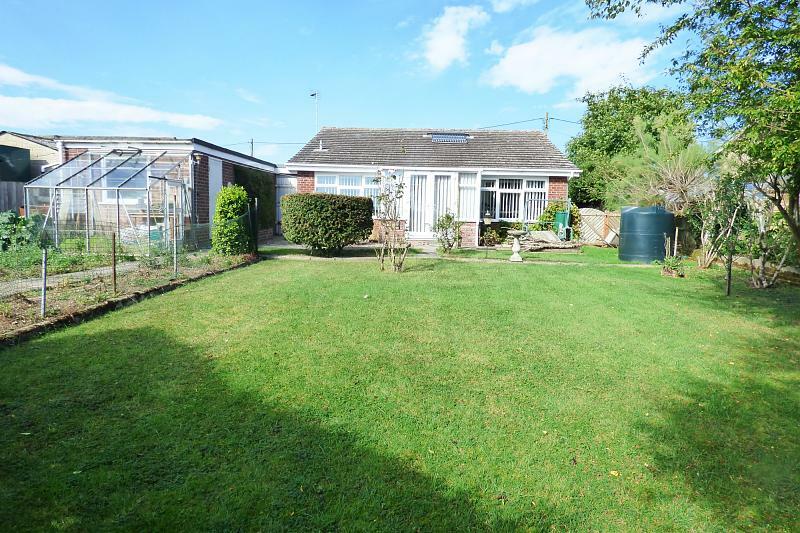 To the front the property offers two driveways to either side giving ample off road parking, carport for one vehicle, the garden is mainly laid to lawn with a range of mature plants and shrubs, outside tap. The rear garden is mainly laid to lawn and is accessed via the side gate or the double gateway access on the opposing side driveway, there is a paved patio area enclosed by roses and mature trees making it ideal for outside dining and entertaining enjoy the view of the open fields, to the rar of the detached garage is an aluminum green house and a small vegetable allotment. The loft is partly boarded with ladder and light. There are currently two porthole windows either end of the loft. 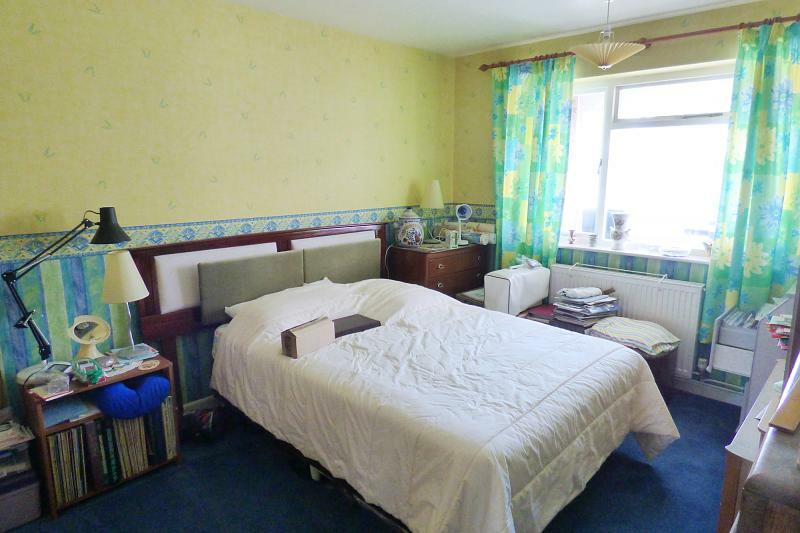 The property has cavity wall insulation fitted 2005 with a 25 year guarantee. Double glazing in the conservatory was replaced Feb 2016. A solar panel owned by the property, produces hot water for the property. The village of Pulham St Mary is served by a well stocked shop and post office. Pennoyers, the recently opened village community centre has a cafe and offers many different courses and events www.pennoyers.org.uk. There is a junior school within walking distance in the neighbouring village of Pulham Market and senior schools in Harleston and Long Stratton. There is a regular bus service to Diss, Harleston and Norwich from outside the Pennoyers centre and a mainline rail link to London Liverpool Street from Diss. Both Pulham Market and Pulham St Mary have a church and there are two public houses in Pulham Market.